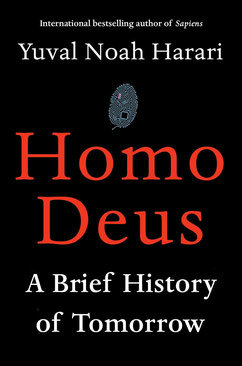 Homo Deus by the historian Dr. Yuval Noah Harari will catapult your brain cells into overdrive with his theories on what the 21st century may have in store for humans and life as we know it. He stresses that these are just theories, but it’s clear that many of his prognoses are just a small step away from becoming reality. Word nerds will absolutely love In Other Words. 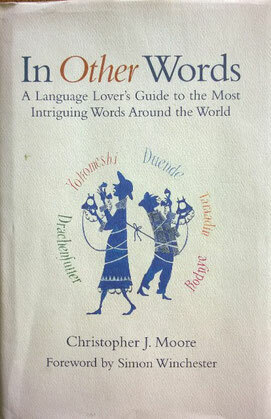 A Language Lover’s Guide to the Most Intriguing Words Around the World by Christopher J. Moore. This is a compendium of words and expressions from different languages, such as French, Persian, Latin, and Swahili to name just a few, which have no equivalent in English. The German word Weltschmerz (literally world pain or ache) is described here as follows: In its mildest form, this is “world-weariness”. At the other extreme, it’s an existential pain that leaves you reeling with a damaging, head-clutching despair. Yes, that’s a feeling we all know; sometimes it comes upon us simply when reading the morning paper. I liked the Japanese word aware and here is the Wikipedia definition: a term for the awareness of impermanence, or transience of things, and both a transient gentle sadness (or wistfulness) at their passing as well as a longer, deeper gentle sadness about this state being the reality of life. In Other Words defines aware even better, but I want you to be curious and buy the book… And, as an added bonus, this book is apparently a conversation starter as well. I started reading it on a plane trip from Hamburg to Munich, and it piqued the interest of the (young & good-looking) businessman next to me. He asked me what I was reading and ended up taking a photo of the cover so that he could order a copy for himself. ;-) Also the book literally made time fly by for me! So, moving from logic and reason to the other end of the spectrum, that often illogical, messy, and sometimes disturbing realm of feelings one has for others. 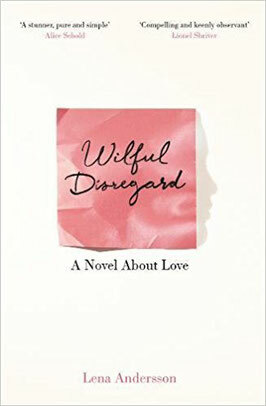 The Swedish writer Lena Andersson has written an addictive novel about love and obsession, which has been translated into English by Sarah Death, and is titled Wilful Disregard. A Novel About Love. But where is the line between love and obsession? We’ve probably all been there, to some extent, at some point in time, but hopefully not as intensely as the protagonist Ester Nilsson, whose entire life changes when she meets the famous artist Hugo Rask. It takes a few pages to get used to the sparseness of the prose, but let me warn you, that once you’re in, you can’t get back out. They say that love is blind, but obsession is probably even more so, and while it’s easy to understand Ester’s feelings and interpretations of Hugo’s words and actions, as a reader, one does feel like raging at her obliviousness to the truth. The title of the novel says it all, really. It’s all there, the yearning, the desperation, the hope. If you pick this one up, make sure to set aside a couple of hours to read it from cover to cover in one sitting (it’s a slim volume, only 196 pages). I suppose reading an engrossing story can turn into a slightly obsessive act as well, disregarding the rest of the world until the last page has been read. And the fourth book is just plain fun. 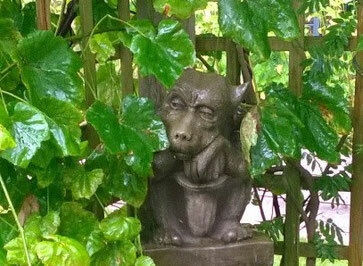 Have you ever wondered where all the ancient gods and goddesses went after new religions came along to replace them? You can’t just erase a god like a misspelled word on a page. They aren’t killed off completely as long as someone still believes in them. Author Matthew Laurence has let Freya (ancient Norse goddess of love, beauty, war, and death) loose on the modern world, along with a number of other almost forgotten deities, with all their follies and foibles, and their rather cool powers. 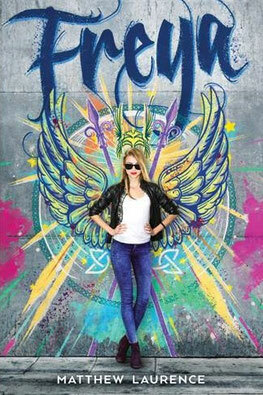 I hardly ever read YA novels, but I picked up a brochure with an excerpt from Freya at the Finnish stand at the Frankfurt Book Fair last fall, and was hooked. It’s a clever idea and the gods and goddesses are a riot. I loved the somewhat vain Freya, whose logic sometimes tells her a peaceful solution might be the ‘right’ one, but then allows her warrior-like nature to take the lead. In her prime, she was Freya, the ancient Norse goddess of love, beauty, war, and death. Now all that’s left of her legacy is herself. Her power comes from belief, and for an ancient goddess in the 21st century, true believers are hard to come by. She’s been lying low for a few decades, when all of a sudden a shadowy corporation extends an offer: join them and receive unlimited strength and believers – or refuse and be destroyed. Sara chooses neither; she flees with the help of a new friend named Nathan. With modern power rising that wishes to bend the divine to its will, Sara decides to fight back – but first she needs some new clothes. It seems this may become a series, for a second Freya novel (titled Slay) will be published in March 2018. This photo is pretty typical of what it's been like around here. It was taken at the Amy MacDonald concert in Hamburg. Open air. Naturally. Note the stylish rain gear provided at the location and that this was one of those rare days I didn't have a book with me (would've gotten wet).